Read more about Through the Ages on our blog! Board games get even better on PC! Board games are considered the fathers of videogames. Through them, across history, we learned how fun it can be to put our imagination to some food use. But of course, only if we have something to get hold on to. Through the Ages is one of these cases. The official adaptation of Vlaada Chvátil’s strategy classic is considered one of the best board games ever, bringing the best out of civilizations’ history and its main personalities. Are you prepared to make history yourself? Play Through the Ages on PC and Mac with BlueStacks and begin your nation with a small tribe. 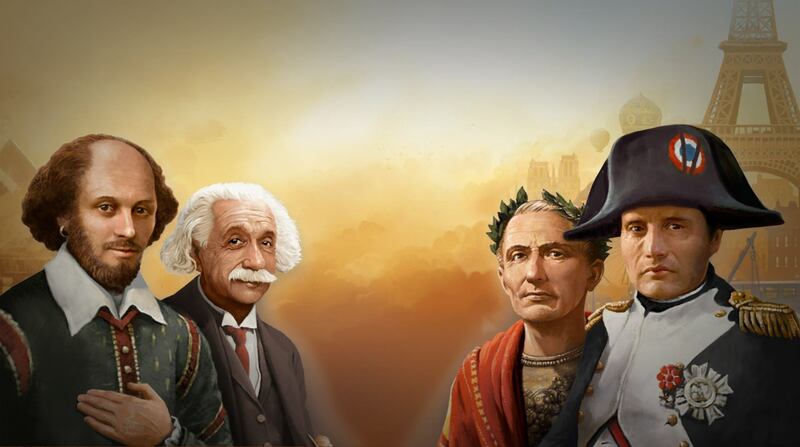 Expand by building farms and mines, advance in technology and science, raise an army and start building wonders to elevate your people’s status quo. Saw that anywhere else, already? Yes! Basically any strategy videogame you’ve ever played to this date. So this is something interesting for you to take note: all those amazing and incredible titles only exist because Through the Ages began it all, a long, long time ago, as a board game, considered a true classic nowadays! The least you could do, is give it a chance, as a gesture of gratitude, don’t you agree? Download Through the Ages on PC with BlueStacks and do that right now! Why play Through the Ages on Bluestacks? Play Through the Ages. Redeem your BlueStacks Points. Get rewards! Through the Ages is a game that comes equipped with OTB(Out of the Box)/Ready to play controls to help you squeeze out every little advantage to beat your competition (Or play comfortably if the game is casual). 6 You're all done! Enjoy playing Through the Ages on your PC. History is everything in our world. Everything that once happened, took us to this moment. For us, this is something to always keep in mind. When we were developing the new and improved BlueStacks 4, the most powerful gaming engine ever created, we never forget to admire and recognize those who came before us. If not for them, and what they managed to discover and achieved, who knows if we’d still be here to tell that story? Download Through the Ages on Windows 7, 8, 10 with BlueStacks and make embrace all the timeline that brought us here, by using the most powerful and amazing features ever created, so far, in gaming history. Be the one responsible for your own decisions, by relying on ultimate freedom to simply make the calls you consider to be the right ones. All of it, of course, in the comfort of your computer, with a big screen, the mouse, the keyboard, and a much faster internet connection. Embrace the present, behold the future, and recognize the past with BlueStacks! Meet other gamers online with one click! The online gaming community is packed with amazing players just waiting to welcome you in their lives. People who are willing to learn from the others and teach what they know, finding in the exchange of information the best way to improve their game and find better solutions for their problems. Play Through the Ages on PC with BlueStacks and stream your game live with just one click, via Facebook Live, Twitch.TV or any other social network you choose from.